The title of this post sums up my experiences nicely. No really, I can die happy now. 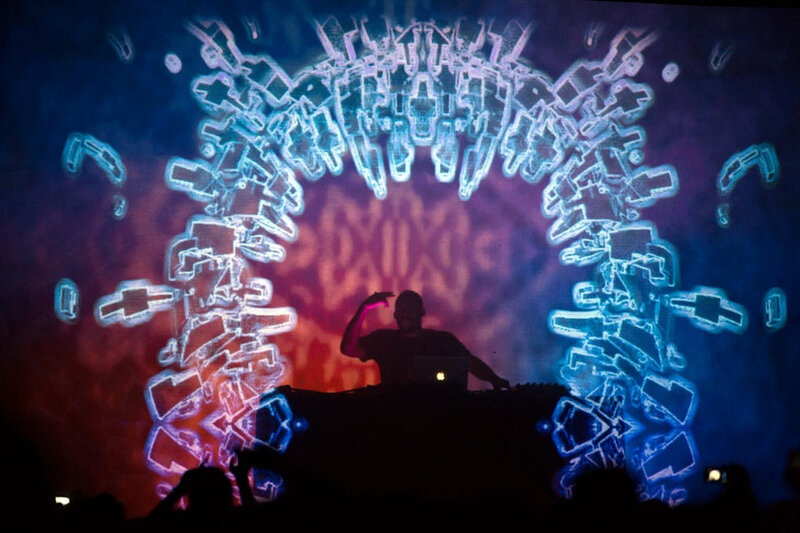 I know I’ve said that before about the likes of Radiohead (still unseen, sigh) and Sigur Ros, so this might be me just prematurely waxing rapturous about Flying Lotus… but the unique Layer 3 experience will stick with me for a long time. Thanks to the horrible unpredictability of Toronto’s public transportation system, I missed Teebs’s set. This was disappointing, since I really like what this guy is doing. (But this is hardly the biggest issue Toronto is facing regarding its reputation as a city these days, sooo….) Teebs is currently on Fly Lo’s Brainfeeder label, which is a secret place where you can find scads of innovative, talented people making music. Simple, understated, elegant, with beats to back it up. Layers of sound filtering through my brain. So, I am sad to have missed Teebs, but he is clearly going places. I can only hope that one of those places happens to be Toronto again in the near(ish) future. 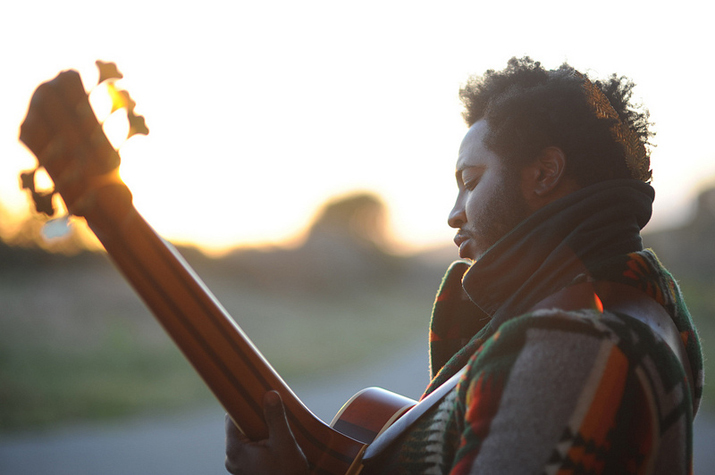 Thundercat, who is also on the Brainfeeder label, is some kind of wunderkind on bass. When I got to Sound Academy at last, this dude in a sweatshirt with the hood up was singing all high pitched and I was confused about what, exactly, I had some to see. And then about 3 minutes later, I was hooked on this guy’s riffs. He’s not just crazy talented, either – he’s got the eccentric personality that often accompanies true genius. And he did chug a beer when convincingly prompted to do so by the audience, so he gets added props for that. Thundercat plays bass for some of Fly Lo’s tracks, and their collaboration on Cosmogramma was delicious (the superchill “MmmHmm” comes to mind). Whether you follow the link to that song or not, know that Thundercat’s vocals are just as impressive live. The bass-playing was unexpected and breathless and spontaneous and the crowd absolutely. loved. it. Thundercat’s got a new album, Apocalypse, that I have yet to listen to, but I have been listening to “Oh Sheit it’s X” and “Heartbreaks + Setbacks” on SoundCloud at work a lot. So I have high hopes for this album. Thundercat is funk personified, but he’s also wearing a sweatshirt and chugging beer and hopping around on stage rapping with Fly Lo. You’ll never look at a bass the same way again. Front row, metal fence digging into my ribs. Hundreds of excited 20somethings behind me. Finally, finally – after years of listening to this random guy who started fiddling around on some DJ stuff one day and has continuously reinvented himself and his sound ever since – I get to see him in the flesh, spinning gold seemingly from thin air. As my words will inevitably fail to capture the fleeting intensity, the mad musical talent, the incalculable joy that is a Steven Ellison (a.k.a. Fly Lo, a.k.a. Captain Murphy as a rapper) performance, here is a short doc to give you a glimpse of why. Note: If you hope to see this show someday, I would suggest skipping the video so you can just be blown away by the awesomeness in real life. Layer 1: A white screen, where visuals are projected. Layer 2: Fly Lo’s equipment, and the space where he performs for most of the set (except when he comes out front to rap). Layer 3: A second screen with visuals. 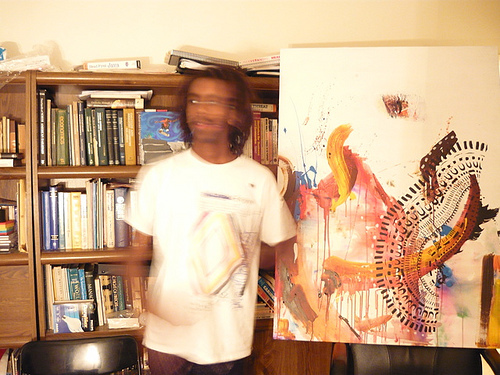 Fly Lo works with two visual artists, Strangeloop and Timeboy, and none of the visual elements are programmed beforehand. It’s their spontaneous response to the music he’s layering and mixing together in that moment. Strangeloop mentions in the doc that their goal is to have the audience transported…and we were, for almost two hours. 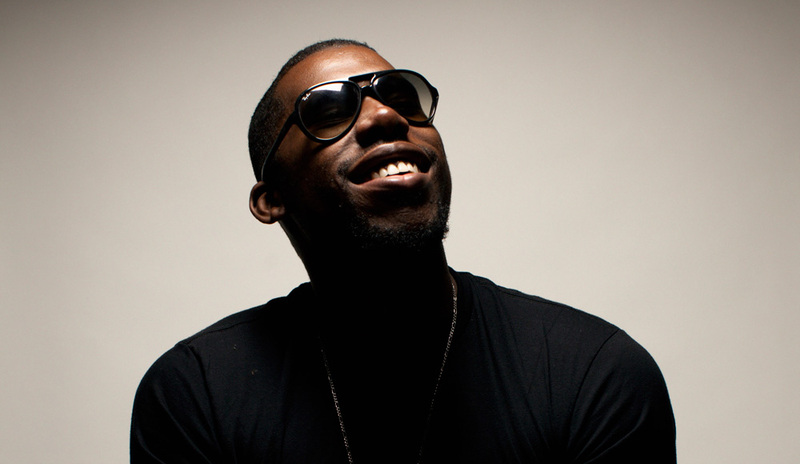 Flying Lotus’s most recent album is Until the Quiet Comes. It’s brilliant, lush, all-encompassing if you listen to it on the right speakers. It’s an album you immerse yourself in, listen to from beginning to end, and revel in the the sheer beauty of what technology and human intelligence can create when they are on the same astral plane. Check it out. As soon as Fly Lo started with a track from that album called “Sultan’s Request” – the stark beats thwomping out in tandem with the layered visuals bursting from the centre of both screens – I knew this was an experience not to be replicated. I didn’t want it to end. This man is clearly a genius, and it shows on his face that he’s shocked that he actually gets to do this for a living. And that’s the best thing ever.